Bondelid, T., S. Unger, and A. Stoddard. 2000. National water pollution control assessment model (NWPCAM) Version 1.1. RTI Project Number 92U-7640-031. Final report prepared for U. S. Environmental Protection Agency, Office of Policy, Economics and Innovation, Washington, DC, by Research Triangle Institute, Research Triangle Park, NC. November. Luken, R. A., D. J. Basta, and E. H. Pechan. 1976. The national residuals discharge inventory. An analysis of the generation, discharge, cost of control and regional distribution of liquid wastes to be expected in achieving the requirements of Public Law 92-500.NCWQ 75/104. NTIS Accession No. PB-252-288. National Commission on Water Quality, Washington, DC. MacKichan, K. A. 1957. Estimated use of water in the United States, 1955. 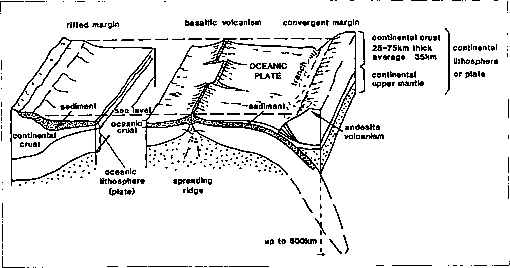 U.S. Geological Survey, Circular 398, Reston, VA. 18 pp. NOAA. 1994. Gulf of Maine point source inventory; A summary by watershed for 1991. National Coastal Pollutant Discharge Inventory. National Oceanic Atmospheric Administration, Strategic Environmental Assessments Division, Pollution Sources Characterization Branch, Silver Spring, MD. USEPA. 1975. Procedural Guidance: 1974 joint State-EPA survey of needs for municipal wastewater treatment facilities. U.S. Environmental Protection Agency, Washington, DC. USEPA. 1997. 1996 Clean Water Needs Survey (CWNS), conveyance, treatment, and control of municipal wastewater, combined sewer overflows and stormwater runoff: Summaries of technical data. EPA-832-R-97-003. U.S. Environmental Protection Agency, Office of Water Program Operations, Washington, DC. USPHS. 1951. Water pollution in the United States. A report on the polluted conditions of our waters and what is needed to restore their quality. NTIS No. PB-218-308/BA. U.S. Federal Security Agency, U.S. Public Health Service, Washington, DC.